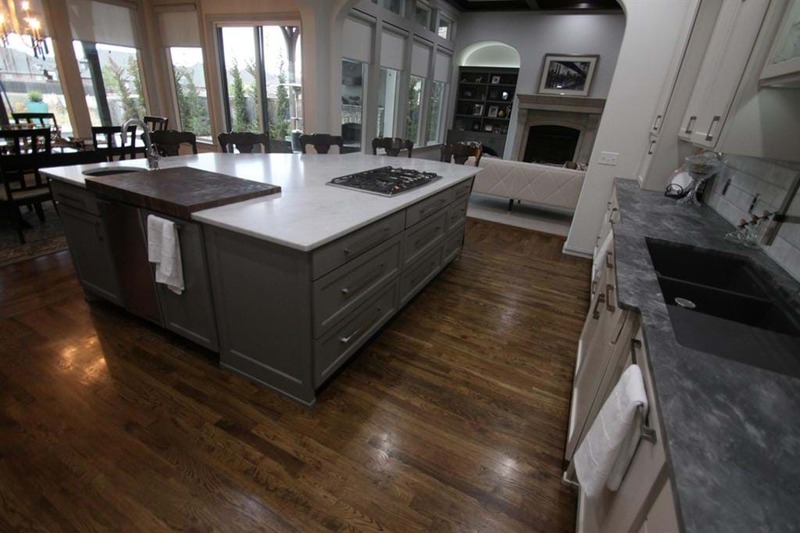 A reputable flooring company can easily help you have beautiful floors that will last. You can enjoy picking out a style that will bring warmth and pizzazz to your property. Hardwood floors are a wonderful investment for the present and for the future. Wood flooring is a classic choice great for any home or business. The warmth you feel when you look at hardwood flooring cannot be mistaken. A quality flooring company can quickly and simply install this type of flooring into your home or business so that you can enjoy it every time that you walk into a room. Whether you go with a dark or light wood color depends on your personal preference, but there are many wood types to choose from. A good flooring company will properly install your hardwood flooring so that it raises your property value. This upgrade will be a wonderful selling point if you ever decide to put your home or business on the market. It can also be satisfying to know that you are improving your property by having a reliable flooring company put in this type of flooring for you. Hardwood floors will continue to look amazing even if you spill something on them. It is very simple to mop up spills with this type of flooring. You can use a gentle cleaner when needed, and you can sweep it whenever you need to as well. Many people think that scratches and other signs of wear that appear over time bring character to your property. If you are a not a fan, you can easily have your flooring refinished if you ever need to in the future. When a professional flooring company installs this type of flooring, you can be sure that it will last. Hardwood flooring will last for generations in your home if it is cared for properly. It is a classic choice that will continue to beautify your home year after year. It also makes an excellent and long lasting choice for any type of business. Wood flooring is a healthy choice for many reasons. Other flooring materials can hide dust particles, pet dander, mold, and pollutants, causing your indoor air quality to suffer. On the other hand, wood can be cleaned easily and thoroughly. When you hire a premium flooring company to install this flooring type, you can be breathe easy knowing that you are making a healthy choice. Hardwood floors are a versatile choice. You can put them in any room of your home or throughout your house in every room. This look is a timeless option that will work just as well as your bedroom as in your kitchen. It also works great for businesses. You can choose from different wood species, stains, and more to have a truly original flooring option for your home or business. Each piece of wood will be a one-of-a-kind addition to your space. You can enjoy its beauty and have peace of mind knowing that it will last. Hardwood flooring is a great investment that you will be able to appreciate for a long time.